The fourth episode of the Whispered Secrets series is finally available for iPad, iPhone, Android, Mac & PC! Whispered Secrets: Golden Silence Collector's Edition takes you for an adventure in the mystical town of Rockshire where you never know what’s around the corner. Can you figure out what’s gotten into this seemingly enchanted town? 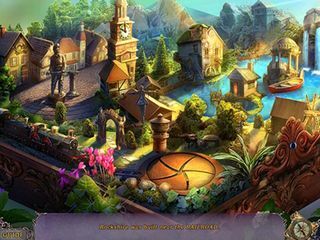 From the insanely popular video game publisher, Big Fish Games, comes yet another award-winning Hidden Object Puzzle Adventure game that will keep you on edge searching under every stone for more clues. You’ve been hired to go to the town of Rockshire to investigate the disappearance of a young woman’s husband. Can you figure out what’s gotten into this seemingly enchanted town? What’s with this dark secret that was discovered in the mountains years ago? Some key ingredient is missing here, and it’s up to you to figure it all out. If you’ll pick up the collector’s edition of Whispered Secrets: Golden Silence, then you’re in for a real treat. 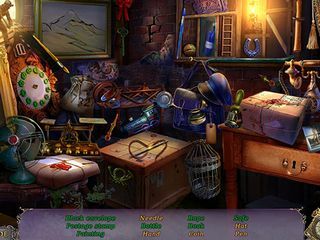 All sorts of goodies come along in the CE, including collectable crystals in every scene and replayable hidden object puzzles and minigames. There’s even a bonus chapter in which you’ll get to rescue Gabrielle from a tyrannous villain. And, of course, there’s a strategy guide to help you if you get hung up as well as downloadable media. Check it out today! This is Whispered Secrets: Golden Silence review. Download this game here.